Below is a sample of the high-quality real estate information you will receive once registered with our FREE Buyer Notification email service. I have good news! My HomeBuyer service has found properties for sale that meet your criteria. The identified properties are listed below with a recap of your search criteria. This personalized email provides a current view of the real estate market for the home or investment property that you are looking for. For properties that you haven’t seen , see the New and Updated Properties section below. For more information on any of these properties or to arrange for a private showing, please contact me immediately at janedoe@123realty.com or (555) 555-5555. Also, don’t forget to check out the current mortgage rates offered by my financing partner Mark Smith with ABC Mortgage Corp. Feel free to contact Mark at msmith@abcmortgage.com or (555) 555-7777 for a free consultation. The Home Buyer’s Utopia service is free to you! If you find the service valuable, please let me help you meet all of your purchasing needs. 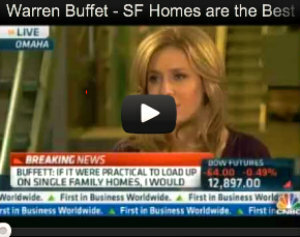 I am certain you will find that my services and the services of Home Buyer’s Utopia exceed your expectations. Thank you. We welcome all questions, comments, and suggestions. Please give us your feedback at http://www.buyersutopia.com/feedback. 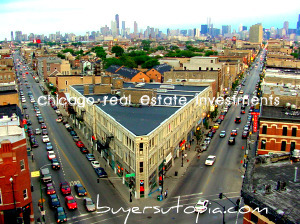 Be sure to come back and visit us for frequently updated real estate information at http://www.buyersutopia.com. To change your search criteria at any time simply email us with your name, email address, and modified criteria at info@buyersutopia.com. All information provided is deemed reliable but is not guaranteed and should be independently verified. Mortgage rates are subject to change at any time without notice. gorgeous vintage rehab (96)! bright & spacious top floor cd hdwd flrs, wbfp, large eat-in kitchen, white 42′ cabinets + island. 2br’s + walk in closets. washer & dryer in unit. 1 car + storage garage included! dogs are allowed. end of july closing! Garage: 3+ car, attached, auto door opnr, heated, owned, underground. gracious large rooms in this bright south-facing vintage home. central heat & air, good closets, new washer & dryer, tons of space. hardwood flrs, gas fireplace, loads of light from ten windows overlooking tree-lined briar street. bldg is in excellent condition, financially secure with high reserve. 100% owner occupied. fee parking available. Garage: assgnd 1, attached, auto door opnr, heated. fabulous loft in trendy river north. rarely avail 2 bedroom 1 bath unit w/great floor plan.beautiful diagonal hardwood floors. exposed brick walls. ceramic tile bath,walk-in closet,breakfast bar,in-unit laundry building features deeded parking in heated garage. great roof deck,exercise room, bike room,extra storage,24hr doorperson, and dry cleaners.